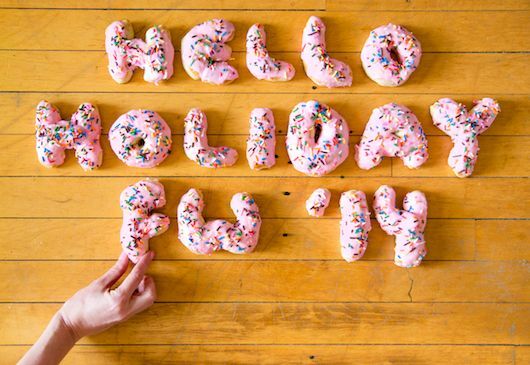 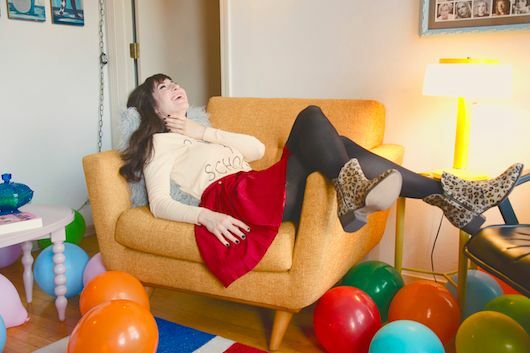 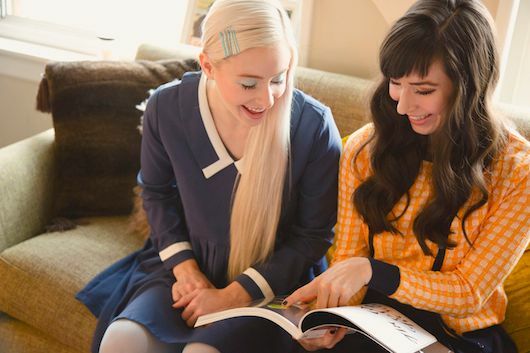 How cute is Hello Holiday's fall/winter lookbook? 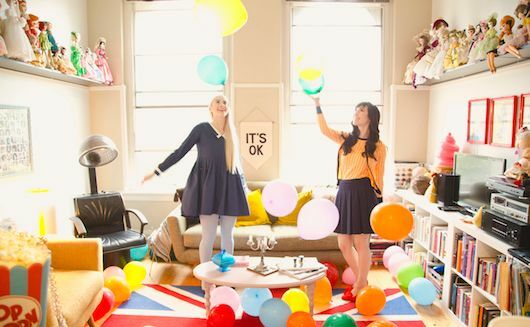 They sort of remind me of the morning after a good party; you're hanging out with your best friend re-hashing the night before and surveying the mess you have no desire to clean up. 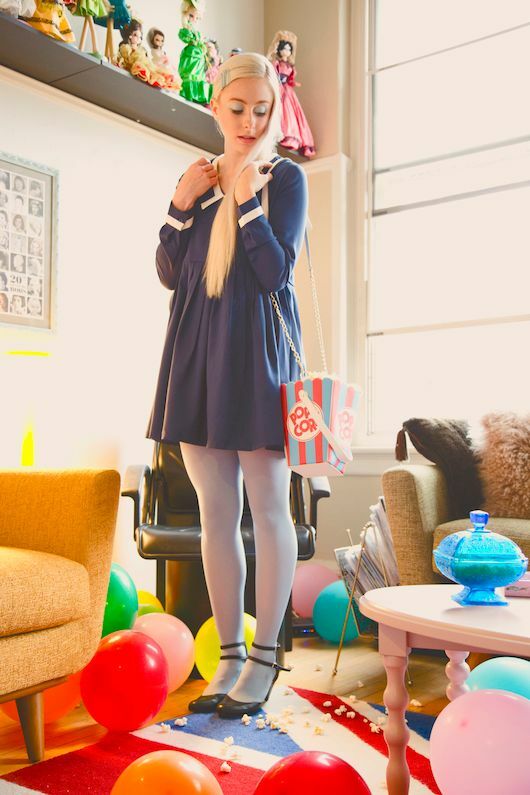 The clothes are cute too--sailor style tent dresses, Dorothy-inspired red heels, and that incredibly covetable popcorn purse!